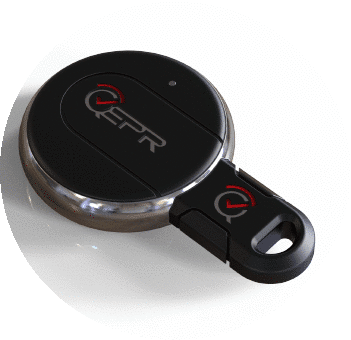 Invest in QEPR, and invest in a set of patent­-pending technologies that serve in the loss prevention, tracking, and recovery of smartphones and other connected devices. Yes! I am ready to invest in a set of patent­-pending technologies that serve in the loss prevention, tracking, and recovery of smartphones and other connected devices. QEPR is currently seeking an early­round capital raise to help finance the company’s commercial market deployment. The investor would ideally bring strategic intel, advice and resources, and be looking for a long­term partnership. 18 patents pending­ 7 as a Kit, 8 as a System, & 3 as a Computer-­Implemented Method.